Amazon has finally met its match. Amazon (AMZN - Get Report) has taken the rap for, with good reason, upending several key industries including tech, retail and possibly even advertising next. The entire retail sector, in particular, is struggling if not dying and the vast majority of declining companies in the industry are blaming their distress on the rise of Amazon. Major retailers have shuttered massive amounts of stores including Sears Holdings (SHLD and J.C. Penney (JCP - Get Report) while the list of bankrupt retailers continues to grow. The industry's latest major Chapter 11 filing came from discount shoe store chain Payless ShoeSource which submitted its bankruptcy petition on April 4. From offering superior delivery methods to mulling the idea of launching furniture and appliances stores to secretly opening tiny electronics stores at 25 malls in 15 states, Amazon has had a ghastly effect on retail. In a recent interview with TheStreet, Karen Short, managing director of equity research at Barclays, said the retailers now suffering from the downturn in the industry did not take the threat of Amazon seriously and simply "sat back." Walmart (WMT - Get Report) , Short said, is the only retailer that saw Amazon coming and acted on it. Today, Walmart may be the only retailer to compete in the same realm as Amazon, and possibly take it down a notch. Here's why. Editor's Pick: Originally published April 20. 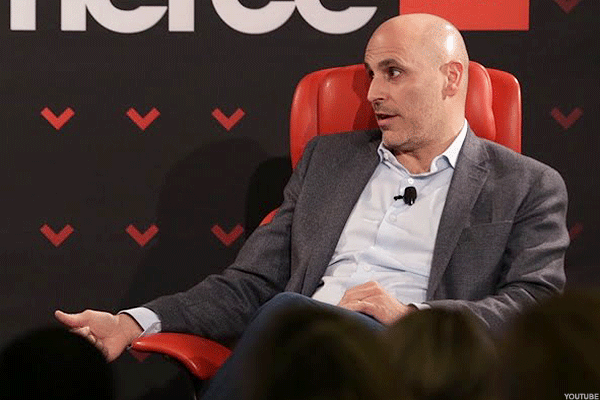 In an attack on Amazon, Walmart has been eating up e-commerce companies left and right, a move attributed to Marc Lore, president and CEO of Walmart U.S. e-commerce. Walmart's latest buys include women's vintage-inspired online retailer Modcloth.com for an estimated purchase price in the range of $50 and $75 million, outdoor recreational retailer Moosejaw ($50 million), IAC/InterActiveCorp's (IAC - Get Report) Shoebuy.com ($70 million), outdoor furniture retailer Hayneedle ($90 million) and of course what started it all - Lore's Jet.com ($3.3 billion). 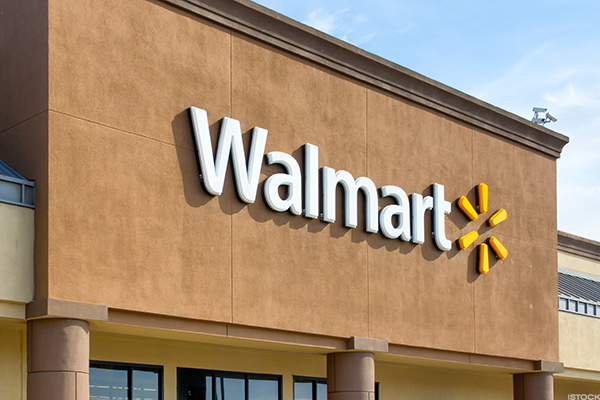 Because Walmart has a a store base of some 5,000 locations across the U.S. and Puerto Rico, it was recently able to launch store pickup discounts for certain items purchased online. Amazon does not have the necessary amount of distribution centers to match this move. Walmart's service gives customers the option of sending their e-commerce purchase to a local store instead of their homes for a lower cost. Walmart's online shoppers can still utilize the retailer's two-day shipping service. Walmart has a superior grocery service. 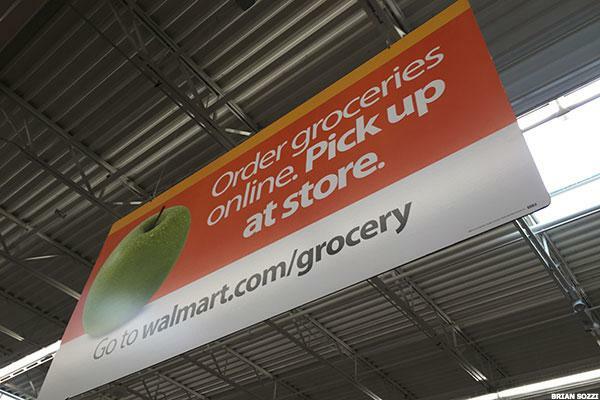 Walmart, again because of its vast store base, is beating Amazon in grocery. 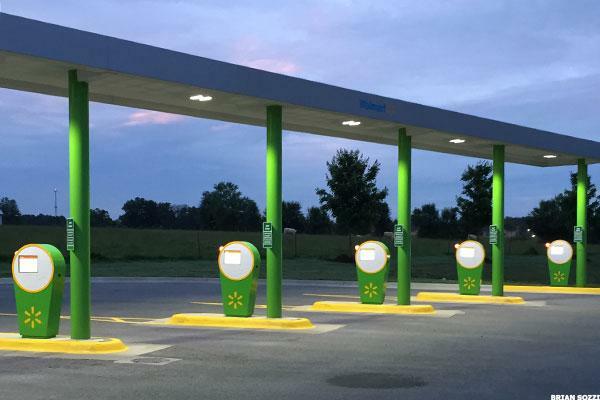 Walmart has been expanding its grocery pickup option, with more than 600 of its stores now offering customers the option to simply order their groceries online and have them delivered right to their cars. AmazonFresh recently expanded its similar car delivery service to its Prime members in two Seattle locations. However, growth for Amazon's grocery pickup service is limited as the company just does not have the distribution centers to offer it on the same scale as Walmart.